Thanks to an under-appreciated body armor known as Gorilla Glass, your Samsung Galaxy, Dell Streak, and Droid X are protected from scratches from keys and bullet holes from CO2-powered pistols. An overzealous chipshot sends your Wiimote flying into the TV. Keys jingling in your pocket grind up against your smartphone. A CO2-powered pistol takes aim at your tablet, firing pellet after pellet into the screen. One of those scenarios isn’t as common as the other two, but in each example, the devices are saved thanks to an under-appreciated body armor known as Gorilla Glass, the ultra-thin, super-strong lightweight glass protecting the Samsung Galaxy, Dell Streak, Droid X, and hundreds of other big-name consumer electronics. You might not know its name now–but that could soon change. 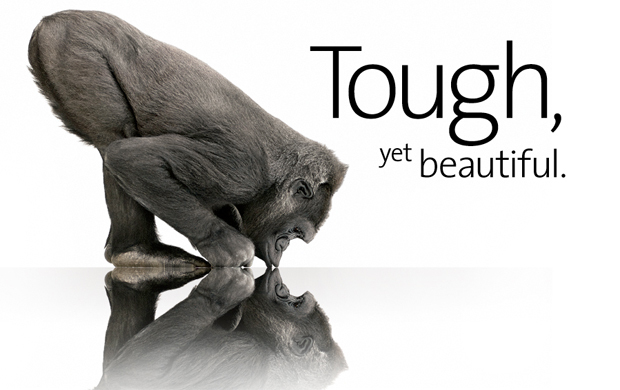 Today, its parent company Corning launches its first consumer ad campaign in more than two decades to create awareness for the growing popularity of Gorilla Glass. The glass technology, which was originally developed in the 1960s, has only in recent years found widespread application thanks to the near-ubiquity of smartphones, tablets, MP3 players, and the increasing demand for damage-resistant displays. At under a half-millimeter and with a chemically-strengthened surface, Gorilla Glass has becoming a cornerstone of Corning’s business. This year, sales of it are expected to reach $250 million, and could grow to $1 billion by 2011. Will Gorilla Glass become a household name? Indeed, Gorilla Glass reportedly protects most of Apple’s products–iPhones, iPads, iPod Touches–but it’s never been confirmed. 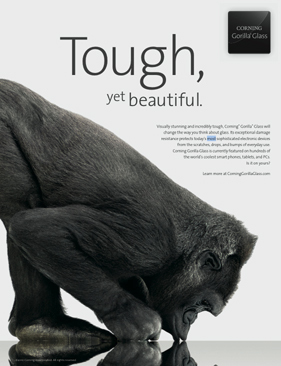 When I asked Bocko whether Apple uses Gorilla for its mobile devices, there was a long pause. In the meantime, until those agreements end, Corning has been showing off its technology through stress tests. 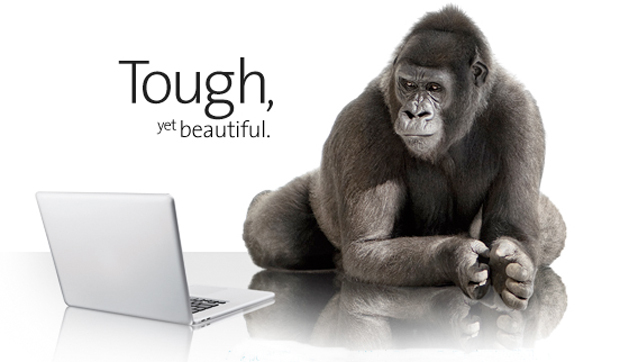 Ironically, the only way to demonstrate the damage-resistance of Gorilla Glass is to, well, try to damage it. It’s become a common practice among consumers, too, who have submitted loads of videos on YouTube testing the technology to its limits. I cited how one YouTuber even took a CO2-powered firearm to a Samsung Galaxy Tab. “Did it survive?” Bocko immediately asked, curious.